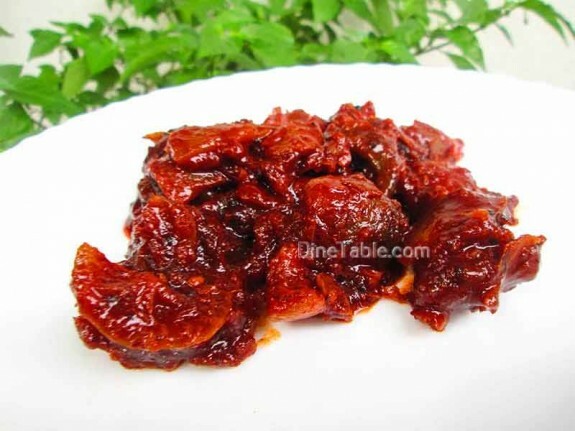 Lemon and Dates Pickle is a sweet, sour and hot side dish that everyone will love this special combination. 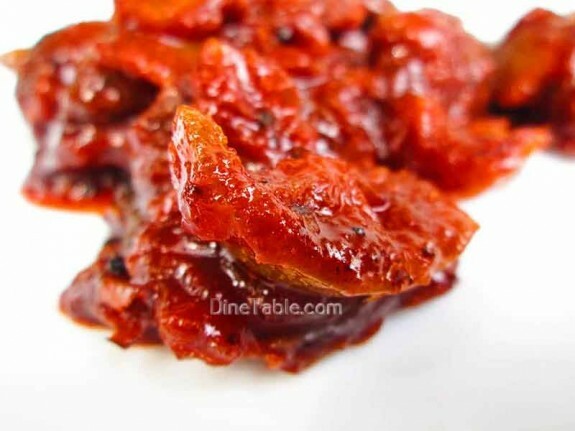 Simple yet delicious pickle that goes well with Biriyani, Ghee Rice etc. 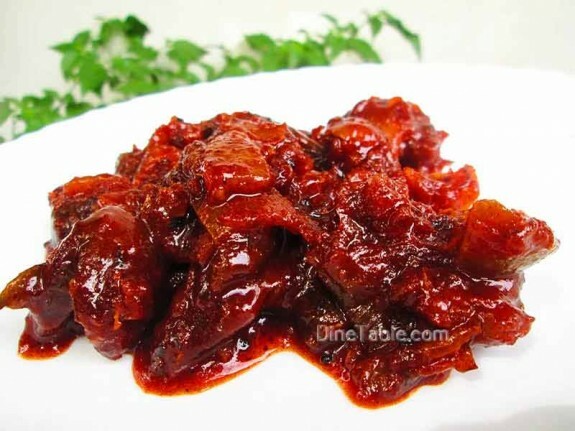 Try out this special pickle recipe at your home. Both Lemon and Dates have major health benefits. The health benefits of lemon include treatment of Throat Infections, Constipation, Fever, Dental Problems, Rheumatism, Obesity etc. Dates are good source of various vitamins and minerals such as Calcium, Phosphorus, Iron, Sodium, Potassium, Zinc and Magnesium. Wash the lemon properly and dry it with a clean cloth. Boil water in a steamer and steam the lemon for 2 minutes. When it gets cool, cut each of them into 4 pieces. Heat 2 tbsp of oil in a pan and splutter mustard seeds and fenugreek seeds. Add chopped ginger, garlic and green chilly into it. Fry until it becomes golden brown and keep it aside. Heat remaining oil in a pan and add chopped dates. Cook till it becomes soft and keep it aside. 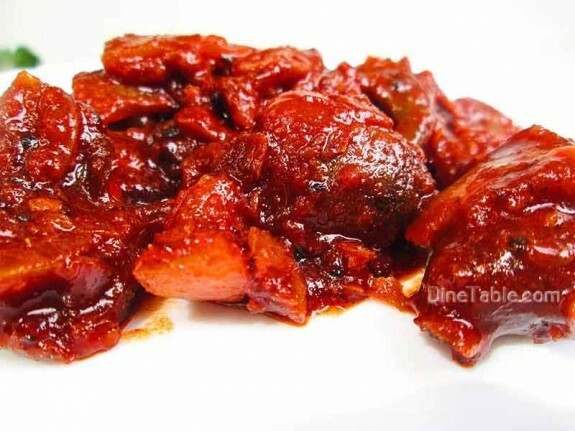 Add kashmiri chilly powder and turmeric powder into the same oil in the pan and stir well till the gravy becomes dark red. Add vinegar to this and let it boil. 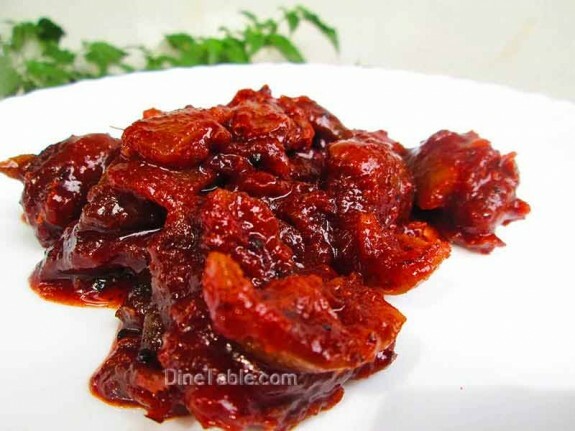 Once the vinegar boils, add cooked ginger, garlic, green chilly and dates into it and mix well. Then add lemon pieces, salt and again mix it well. 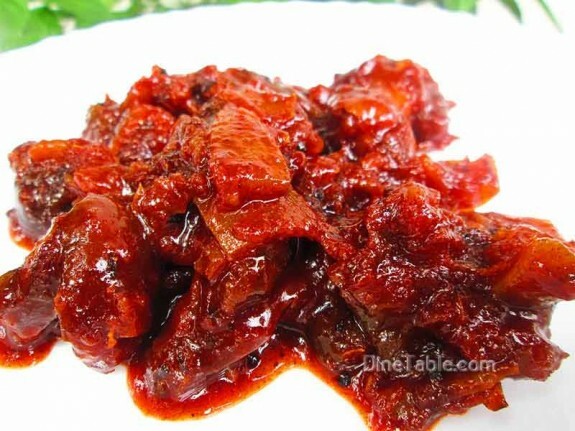 Tasty Lemon and Dates Pickle is ready.